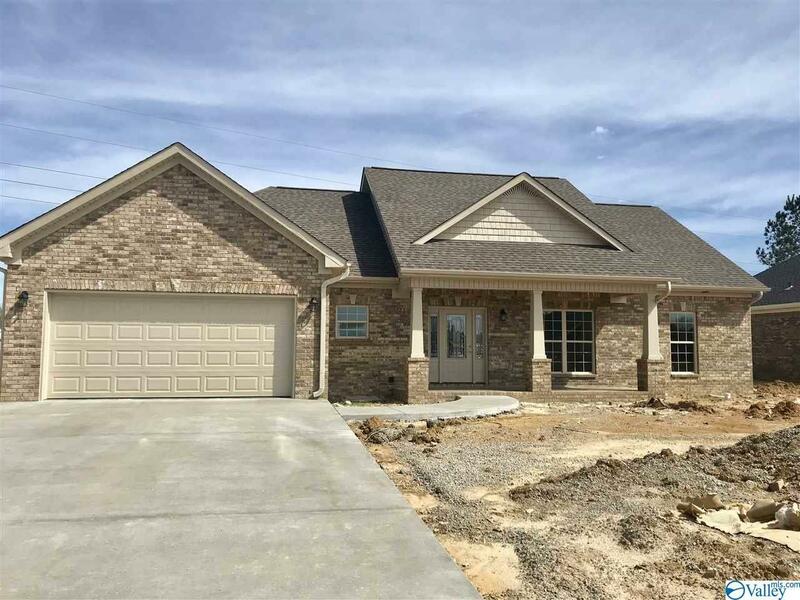 NEW brick home with nice covered porch and patio. 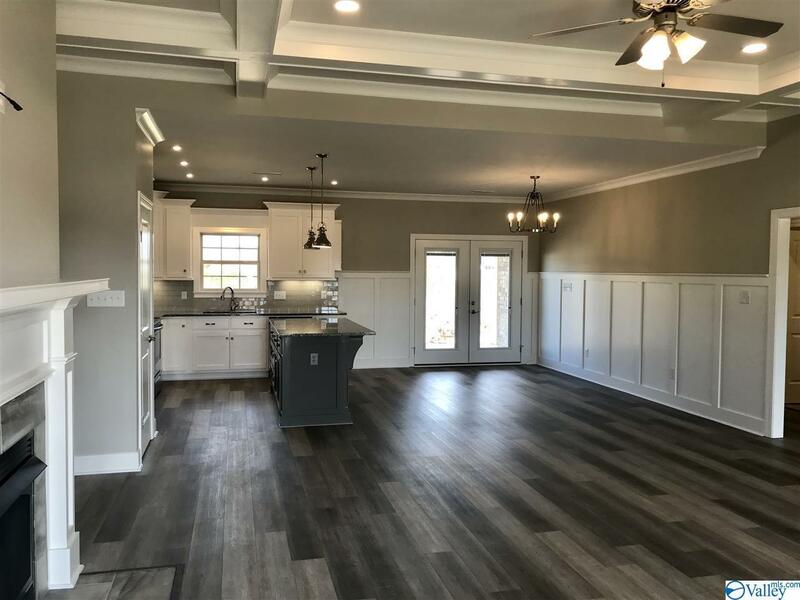 3 bd 2 ba and very open floor plan. 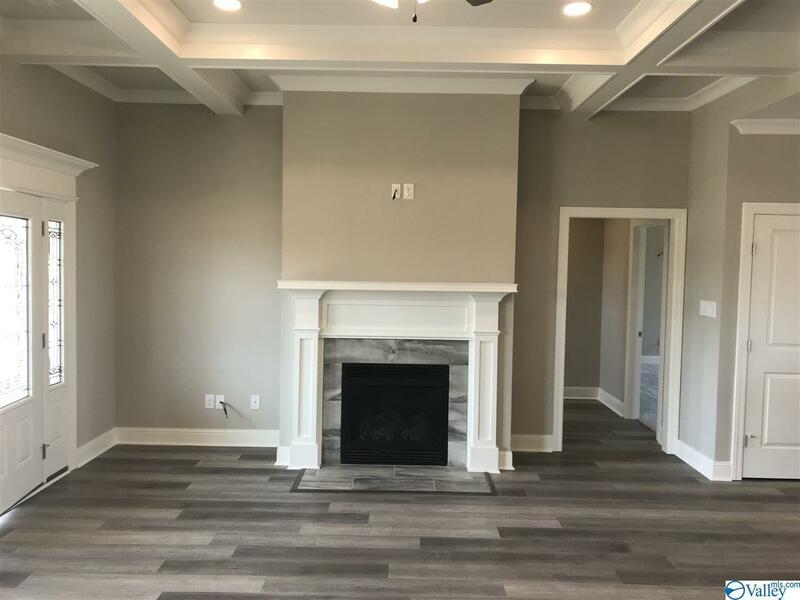 Gas log fireplace, lots of white kitchen cabinets plus an accent eat at island, granite countertops, subway backsplash, weathered look flooring, ceramic tile in baths and laundry. 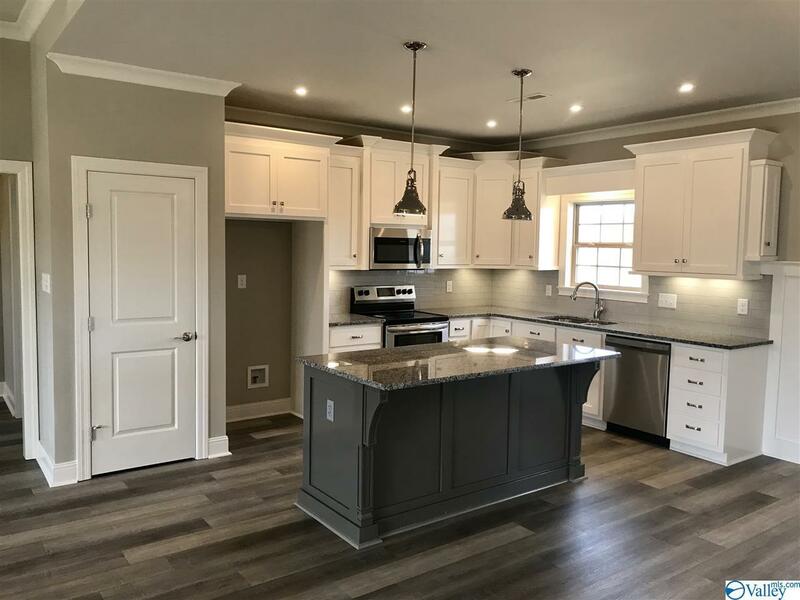 Split floor plan, oversized master with large walk in closet, dbl vanities, large tiled shower with seat and heavy glass door plus a soaking tub. Lots of oversized trim work, coffered ceiling in greatroom, 9 ft smooth ceilings, pretty detailed wall trim in dining.